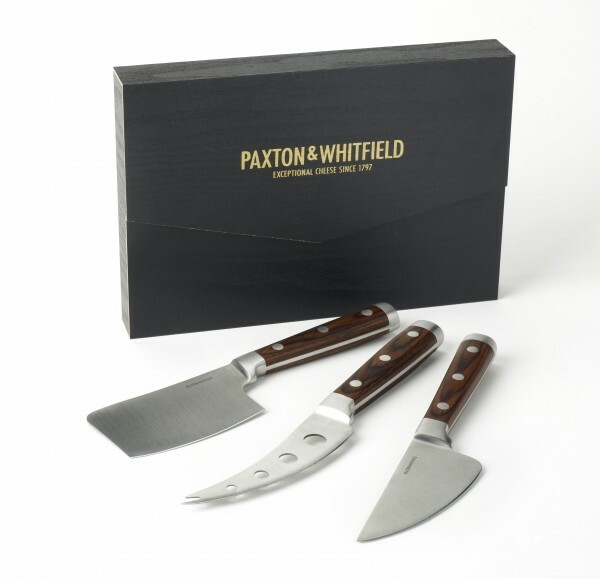 A stylish 3-piece set, including a hatchet, a hard cheese & a soft cheese knife, all made with solid shaft construction. Our Professional 3 piece set has been designed to exacting standards and includes the most trusted utensils of the trade. The Hard cheese knife is ideal for the traditional Cheddars and alpine Gruyeres whilst the hatchet is perfect with the hard texture of Parmigianno and Gouda. The soft cheese knife has been designed with holes along the blade surface which reduces the friction between blade and cheese, ensuring that even the stickiest brie can be tackled. All blades are made with a fully forged Steel and the blades are built with a solid shaft construction to ensure strength as well as adding a stylish look. Comes in a gift box which measures 25cm x 17cm.